Pat Poblete reflects on lesson’s he’s learned during his time at the lab, including the prevalence of motivated reasoning, the impact of science misinformation and the importance of transparency between journalists and their community. That was the opening line of the job description. As it turns out, it’s not so easy. In my time working at the Co/Lab, I’ve begun to understand why misinformation spreads, even in the face of tangible evidence which disproves it. A perfect example is in the field of science, where the Pew Research Center found that there are wide gaps between the belief of scientists and the public’s belief on topics like genetically modified food, vaccines, climate change, evolution, pesticides and population growth. I looked at a fair amount of research on the topic and found that in many cases, a person’s worldview often dictated their views on science, regardless of the information presented or education level. Another challenge we found in some instances was motivated reasoning, the practice of paying attention to news which confirms what you already believe, and dismissing information that challenges your worldview. Of course I had heard of the proverbial echo chamber before, but to see it referenced again and again in academic journals as a cause of misinformation was striking. The point was driven home upon reading a transcript of a speech given by political scientist Arthur Lupia on communicating about science in an age of uncertainty (p. 16). These questions really made me sit up and take notice as a young journalist aspiring to cover politics. It showed me that how you present your story or your data is just as important as what you find in the course of your reporting. And that is where the News Co/Lab comes back in. We are compiling Best Practices for journalists and newsrooms to follow to make your reporting more transparent and engaging for the community. It’s become clear to me that for news to have greater impact, it should be tailored to fit the market in which it’s being delivered. It should be part of the reporting process to find out what your audience wants to know about, and a good way to do that is by engaging in conversation with the communities you cover. It is important to talk with the audience, not at them. A best practice from the Honolulu Civil Beat called Coffee & Conversations highlights how this can be done. Every month, the Hawaiian paper opens its newsroom to readers and donors to ask questions and provide feedback. These conversations can also take place over the web. Eastern Connecticut paper The Day used Facebook to host a series of “Ask Me Anything” sessions in which news consumers could ask journalists “about coverage decisions, comments policies and other editorial processes.” It sounds simple, but AMA sessions provided a lot of feedback from The Day’s audience. Journalists around the world are using innovative methods to make the journalism process more transparent and open to the viewers, which is exciting to see. I plan to incorporate many of those, including the two Best Practices I mentioned above, in my own reporting process as much as possible moving forward. That being said, I realize the demands of the profession that I am about to enter. It’s not realistic for me to expect to walk into a newsroom fresh out of journalism school and tell an experienced executive producer how things should be done. Instead, I believe I can make incremental differences initially by being an advocate for transparency and engagement. I may not be able to set up a Coffee and Conversations replica in my first newsroom, but I may be able to build an active and engaged community through social media. As I gain experience, I can begin to push for newsroom change, but for the time being, it falls to me to find ways to make transparency and engagement integral to my own reporting process. After all, journalism should be a conversation. And if I can make that conversation more engaging, I hope people will be less likely to have preconceived notions about me as a reporter. 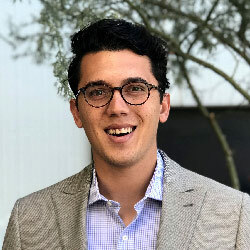 Pat Poblete is a graduate student at the Walter Cronkite School of Journalism and Mass Communication at Arizona State University studying broadcast journalism.